Half of the plastic waste is single-use plastic, which currently is highly concerned by the people all around the world. However, the affordable alternatives are not found yet, particularly drinking straw. We are offering the single-use product made from the agricultural waste (coconut and oil palm leaves). 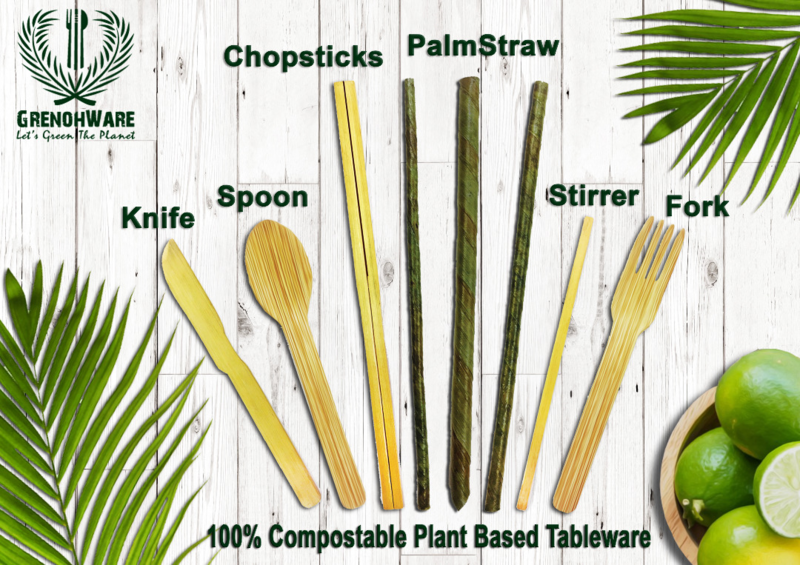 Our products include straw – PalmStraw and cutlery. PalmStraw will play a crucial role in society as the prices of alternative straw unable to compete with the plastic straw. Moreover, all of our product are 100% compostable plant-based and without any chemical, thus it can be decomposed completely with food waste and become fertilizer within 6 months. It is also edible and safe for people who like to chew. There is abundant agricultural waste from Malaysia’s small farmers, which enable us to produce massively and expand to the international market. Therefore, we are striving not only to reduce plastic waste but also to improve the income of the small farmer.